Thakadu is situated next to a floodlit waterhole frequented by a large number of indigenous wildlife and birds. We are a small, family-run lodge that takes great pride in our warm welcome, friendly service and peaceful surroundings. As you can see we are not a 5-star hotel, nor would we want to be! Thakadu provides a true bush experience with all the rustic authenticity we can muster. Opened in 1999 by Chris and Jeanette Woolcott, Thakadu has built a strong reputation as a great place to stop over for a comfortable sleep and delicious food. Now with the help of the next generation, the camp is continuing to grow whilst maintaining the original vision. The turnoff for Thakadu is 3km south of Ghanzi on the road to Gaborone and Namibia. It is 39km north of the Trans Kalahari Highway junction with Namibia. The turn is clearly signposted on the right (travelling north). A 3km rocky trail will bring you to Thakadu. Although quite rough, the road is negotiable by even the lowest 2WD’s but Land Rover’s may struggle!  Copyright 2016 Thakadu Bush Camp Lodge. Deidre Wolmarans Consulting.